Howton Solar Farm Community Fund supports not for profit community projects in the areas of Pillaton, Landrake & St Erney, St Mellion, St Dominick and Saltash with grants of up to £5,000. In 2018, the Fund awarded more than £39,000 to support 12 projects. Since 2013 the fund has awarded more than £190,000. The Cornwall Community Foundation (CCF) administers the fund on behalf of operator Lightsource, and a panel of local people meet twice a year to consider applications. 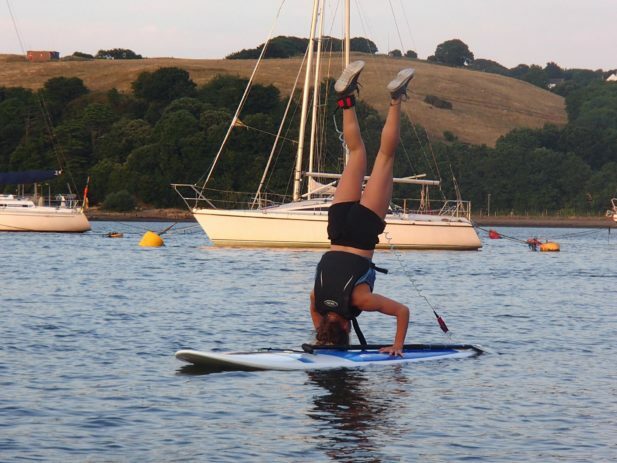 In 2018 Tamar Canoe Association were awarded £5,000 towards a £7,250 project to train new volunteers to become British Canoe Union paddlesport instructors and sheltered water coaches, expand the Association’s range of paddleboards and improve the club’s range of safety equipment. The club is expanding and the grant enabled them to meet new demand and improve long term sustainability. Other projects supported by the Community Fund in 2018 included the Core Youth Project based in Saltash to develop and expand their services. Step Into My Shoes CIC delivers educational workshops and courses for people living with long term health conditions and those that support them. The Fund awarded £4,998 towards their programme helping participants better manage their own mental and physical health. St Dominick PCC received £1,000 towards the refurbishment of their Sunday School Room Building in the Churchyard. This is a facility used by the community as well as the Church. The Fund also provided a defibrillator at Pillaton Village Hall and £943 to support the 2018 commemoration and exhibition for the centenary of the end of the Great War in Saltash.